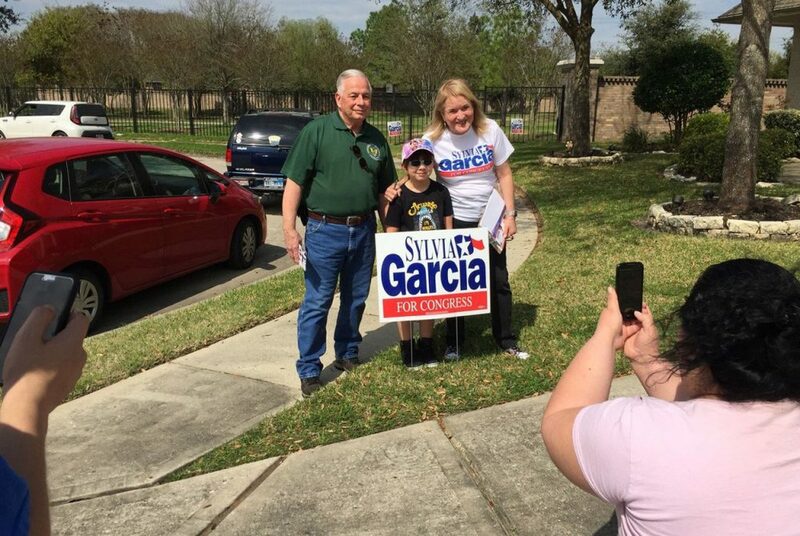 U.S. Rep. Gene Green and state Sen. Sylvia Garcia pose for a photo in Humble as they knock on doors for her congressional campaign on Saturday, March 3, 2018. A wave of Texas women candidates won or made it to runoffs in more than 50 primary races statewide amid a surge of interest in running for office among women around the country. Texas women dominated in dozens of congressional, legislative and statewide primary races on Tuesday night in the wake of federal elected officials retiring, the #MeToo movement, mounting frustration over a lack of elected women and President Donald Trump’s win in 2016. While the majority of the women who succeeded in their primaries were Democrats, a number of Republican women also advanced. Among the results Tuesday: Democrat Jennie Lou Leeder won her 11th Congressional District primary outright with 82 percent of the vote; Republican Angela Paxton beat Phillip Huffines in Texas Senate District 8, which was the most expensive primary contest for a state office this year; and Democrat Gina Ortiz Jones was the top vote-getter in the 23rd Congressional District and will face Rick Treviño in a primary runoff to determine who will take on U.S. Rep. Will Hurd, R-Helotes. In addition, two Hispanic women Democrats — former El Paso County Judge Veronica Escobar and state Sen. Sylvia Garcia — are poised to be the first two Texas freshmen women elected to a full term in Congress in 22 years. Margo McClinton Stoglin, Texas director for IGNITE, a group focused on getting more women to run for office, said more candidates are letting go of fears about fundraising and not winning their races. She pointed to how Lupe Valdez — now facing Andrew White in a runoff for the Democratic gubernatorial primary — ran for governor even though she could have stayed on as Dallas County sheriff. Stoglin said it’s that kind of “leap of faith” that’s emboldening more women. The day after her primary win, Garcia said she feels like she’s “coming full circle.” She said the number of women running for office this year reminds her of the surge of women candidates in 1992 in the aftermath of the Anita Hill testimony during Supreme Court confirmation hearings for Clarence Thomas. Garcia said that 26 years later, amid sexual harassment scandals and attacks on reproductive rights, women are fed up. 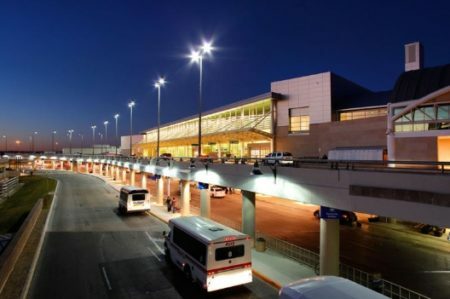 Clare Bresnahan English, executive director for She Should Run, a group encouraging more women to run for public office, said she’s anticipating the Texas primary results will have a ripple effect that will get more women to become candidates. Currently, only three of the 38-member Texas congressional delegation are women. Meanwhile in the Texas Legislature, among the 181 seats that make up the House and Senate, just 37 women hold office, according to the National Conference of State Legislatures. She also said while it’s exciting to see Texas women get big numbers of support, there’s still a need to get more Republican women to run for office. Cynthia Flores handily won the Republican primary race for Texas House District 52, with 60.8 percent of the vote against her two opponents. Flores, a social services worker, had the backing of both outgoing state Rep. Larry Gonzales, R-Round Rock and Gov. Greg Abbott. She said serving and living in the district for nearly 20 years plus the timing of Gonzales’ open seat inspired her to run. That and she believes she can be a good voice for constituents in the area.